This book is a great tool for anyone who works at the cutting edge of 21st Century life. With challenging titles like "The Power of an Unchained Heart", and “The Power of the Comeback”, Rob weaves incredible contemporary stories with insightful Bible teaching. 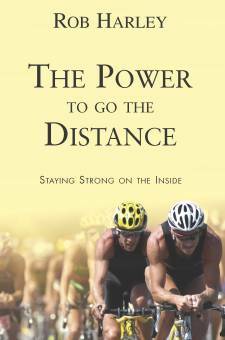 The Power to Go the Distance will stretch you, with stories of overcoming, faithfulness through trial, and counsel for living a more effective Christian life. Read and grow through stories from the lives of great leaders and faithful believers. Learn from the experiences of some of the world’s most effective Christians, and those who’ve battled adversity with their trust in God. Rob brings to life some of the amazing tales he’s covered in story-telling and documentary-making around the world. Each chapter has a great study guide for individual reflection or group analysis. OUT OF PRINT. SORRY, NO LONGER AVAILABLE.